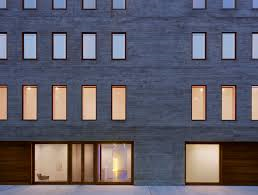 David Zwirner Gallery is a contemporary art gallery in New York City and London owned by David Zwirner that is active in both the primary and secondary markets. The gallery opened in 1993 on the ground floor of 43 Greene Street in SoHo. In 2002, the gallery moved to 525 West 19th Street in Chelsea. In 2006, it expanded from 10,000 square feet (930 m2) to 30,000 square feet (2,800 m2), adding spaces at 519 and 533 West 19th Street. This allows the gallery to mount three independent, full-scale exhibitions simultaneously. From 2000 to 2009, Zwirner was a partner with Iwan Wirth in Zwirner & Wirth. In March 2012, the gallery announced its expansion to Europe (in London's Mayfair neighborhood). It opened in October 2012 with a solo exhibition of new works by Luc Tuymans. In February 2013, the gallery also opened an additional 30,000-square-foot (2,800 m2) space in New York's Chelsea neighborhood. The five-story building was designed by architect Annabelle Selldorf and will become the first commercial art gallery to receive LEED (Leadership in Energy and Environmental Design) certification. In 2010, Zwirner ranked fourth on the annual list of the 100 most powerful people in the art world published by ArtReview magazine. In 2012, he was listed at number two in Forbes magazine's "America's Most Powerful Art Dealers."